Happy Sunday everyone.. I'm over on the Paperie Ink Blog today with a super cute card using the set Christmas Carolers and their coordinating dies! 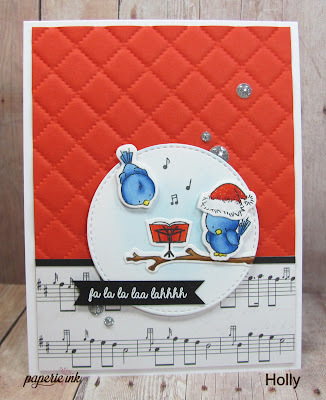 Head over to see how I created this card and check out some other fun inspiration from the team!